Phil Collins is going to add a second North American leg to his (Still) Not Dead Yet Live tour. After touring Europe (June 2017), the UK (November and December 2017), South and Central America (February and March 2018), North America (October 2018), Australia and New Zealand (January and February 2019), and Europe (June 2019) he will play 15 shows in fifteen places in 13 states in one month’s time between 09/23/2019 and 10/19/2019. This time all shows take place in the U.S., none in Canada. The Pacific Northwest misses out again. People from cities like Seattle, Portland and Vancouver have to remain patient and/or take longer trips. The focus is on the Northeast because of the larger population in that area. After the last European gig in Poland’s capital Warsaw Phil Collins continues his comeback from retirement in the Texan cities of Dallas and Houston. These two places are frequently played one after the other because they are quite close to each other. Phil Collins last played these cities in the same venues (and in the same order) on his First Final Farewell tour in 2004. From Texas Phil Collins continues into his new home of Florida. While he played Fort Lauderdale in October 2018 he is now going to play Tampa at the west coast. The Amalie Arena is the same venue that he played in 1997 and 2004, when it was still called Ice Palace or St. Pete Times Forum. Collins also returns to Georgia after a long break. He used to play Atlanta, and he will do so again in the home town of a rather popular soft drink. His most recent performance there was not on a tour, but at the halftime show of Super Bowl XXXIV at the Georgia Dome on January 30, 2000. This year’s show takes place at the Infinite Energy Center, where Collins has not played before. Previously he also played the Lakewood Amphitheater in Atlanta on the Both Sides tour in 1994. That was the year Phil played his first (and last, so far) show in Charlotte, North Carolina. This time he will play the Spectrum Center that opened in 2005. Previously, North Carolina shows would come to Raleigh, Chapel Hill or Greensboro. Strictly speaking, Phil has never played Detroit, Michigan, before. He would usually stay in the outskirts and play places like Auburn Hills. This year he is going for the heart of Detroit and plays at the Little Caesar’s Arena, a new venue that opened in 2017. Since we are a Genesis fanclub and like to stress the whole range of the band we would like to point out a great concert opportunity this fall. You will be able to kill two birds with one stone as a Genesis fan because Steve Hackett plays the U.S. and Canada at the same time as Phil Collins. First off is Detroit, though interested fans have to travel some 150 miles between concert locations: Phil Collins plays Detroit on Oct 1, while Steve Hackett plays Grand Rapids, Michigan a day later (and 150 miles to the West). On Oct 3, Steve Hackett plays Cleveland, Ohio, which is 170 miles away from Detroit on the other side of Lake Erie. Pittsburgh hosts Phil Collins for the first time since 1997. Strictly speaking, a show that had been scheduled here for 2004 was cancelled because of poor ticket sales. 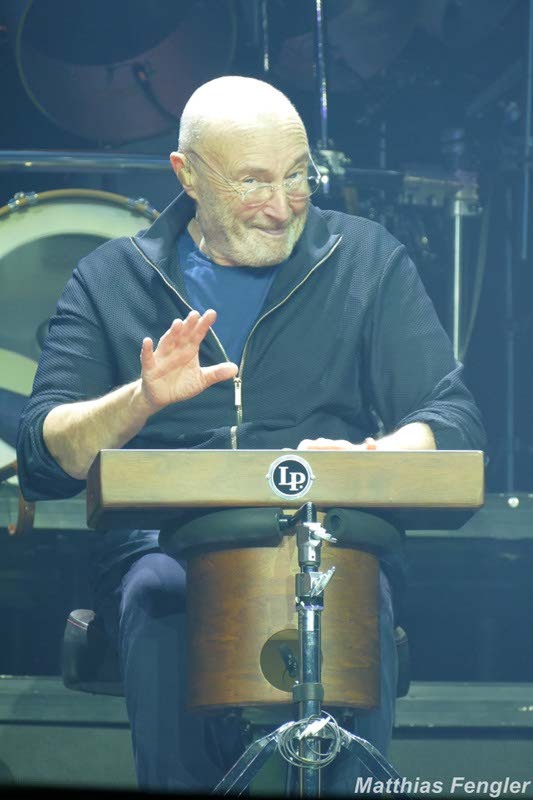 This will be Phil Collins’ 29th show in Pennsylvania. Only New York and California will have seen more Phil Collins solo shows. Most of the Pennsylvania show took place in Philadelphia, though. 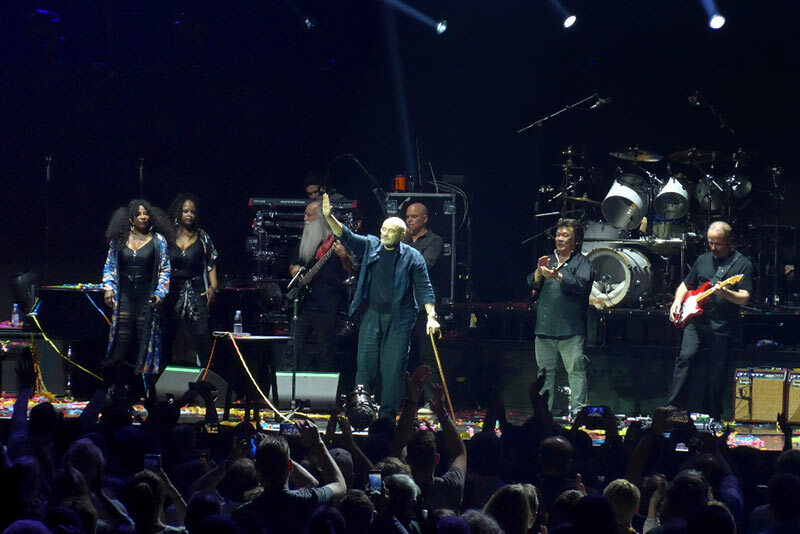 Combining Collins and Hackett gigs could not be easier than in Pittsburgh: Phil Collins plays here on Oct 2, while Steve Hackett hits Munhall, Pennsylvania, on his Genesis Revisited tour 2019 on October 1. Munhall is a suburb of Pittsburgh. New York is the US state in which Phil Collins has played the most solo shows. Two more will be added to the list this fall. The first will be in Buffalo. Phil played that city twice, in 1997 and 2004. The KeyBank Center used to be called Marine Midland Arena or HSBC Arena. While Collins plays Buffalo on Oct 4, his former band Brand X play Roslyn, Long Island, just outside New York City. We mention this because Phil is “Back In N.Y.C.” on October 6. Fans could warm up to Brand X in the small atmosphere of a club before Phil Collins plays the gigantic Madison Square Garden. The larger New York City area was already treated to shows in Newark and Brooklyn on Collins’ first North American leg in 2018. The only other place Phil Collins will be re-visiting in 2019 is Las Vegas. There is time for an additional show at the Garden on the day after the regular show, and it is quite a safe bet that a show will be added here. Kentucky is known all over the world for its fried chicken. Perhaps that’s the reason why Phil’s show will take place at the KFC Yum! Center. Louisville is new for Phil Collins, and a surprising choice of city and stage. Only few people will be aware that Collins has played on solo show in Kentucky (at Lexington on 06/19/1985 with the Hot Tub Club on the No Jacket Required). Genesis, too, have played Kentucky only once (at the Rupp Arena, Lexington, in the mid-80s). Another surprise gig after Kentucky: Omaha, Nebraska. Genesis played the Civic Auditorium in 1984, but apart from that Genesis and Phil Collins have always steered clear of this Mid-Western prairie state with its low population. A lovely opportunity for fans to see their idol close to their own place. The journey will continue westwards, towards the Rocky Mountains. Denver, Colorado, celebrates its return to the Phil Collins solo tour schedule after 25 years. (Genesis, however, played Denver on their Turn It On Again tour in 2007. Arizona has been a fixture in every Collins tour since 1985. This year’s show takes place at the Talking Stick Resort Arena (named after a hotel and casino resort) in Phoenix. When Collins last played here in 1997 and 2004, the venue was called America West Arena, but that airline has been swallowed by American Airlines. Phoenix is another opportunity to see Collins and Hackett. Phil plays the capital of Arizona on 10/15/2019, and Steve follows on 10/17. The venues are barely a mile from each other, so it can’t get much easier for Genesis fans. If you can’t bear to be without Genesis music for a day you could travel the 100 miles to Tucson, where Steve Hackett plays on 10/16. Collins also plays California. In 2018 he came to Oakland in the Bay Area. This time he comes to the other side of the bay, to San Francisco. Though Phil Collins has played quite regularly in the area, he has never played in San Francisco itself, simply because there were no suitable venues. Metallica will inaugurate the brand new Chase Center on September 6. Phil Collins will play this multi-purpose arena just six weeks later. The venue is located at the seashore not too far from Oracle Park, the Giants baseball stadium. 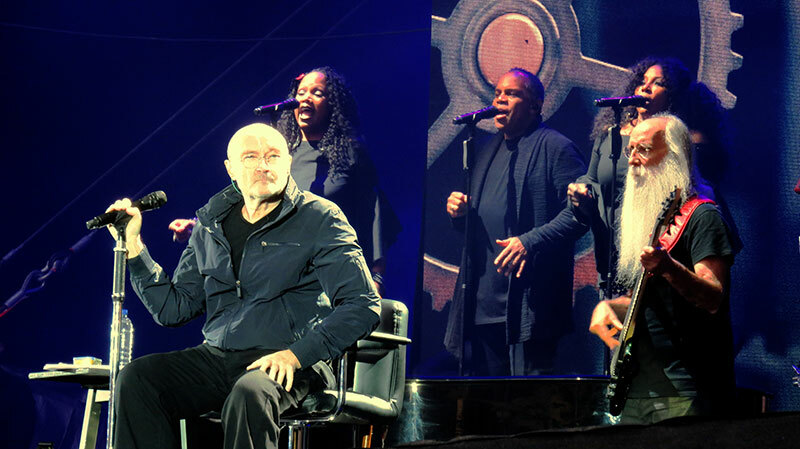 The final show of the autumn tour brings Phil Collins to Las Vegas. In 2018 he played the MGM Grand, but in 2019 he will perform at the recently opened (2016) T-Mobile Arena. One would have expected him to return rather to Los Angeles than to the capital of gambling in the desert. Still, Las Vegas has enough potential for good ticket sales. And we can be glad that Phil Collins plays Vegas only twice in a year. Other stars of his stature are booked for concert series there that go on for weeks, months, years – it may be doubted that that would be attractive for the fans. No information has leaked out about possible support acts. Prices, setlist and course of the show will probably not be very different from previous legs of the tour. With the shows taking place in autumn, there will be no open-air shows in North America. 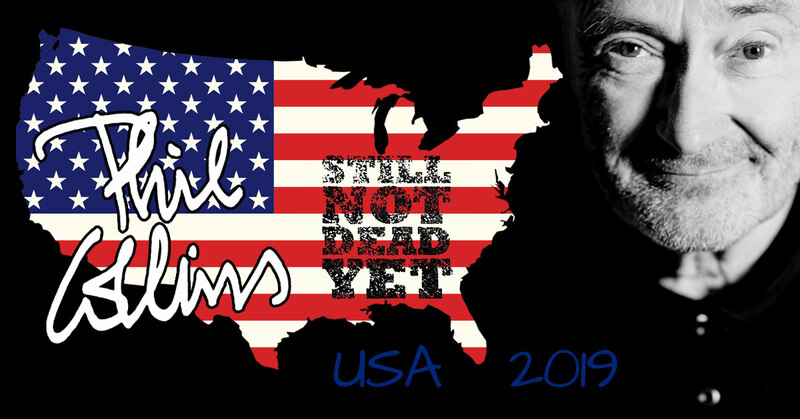 At the end of the North American tour the counter for the (Still) Not Dead Yet Live tour will have moved up to a whopping 96 shows in an unprecedented tour length of over two years. And it needs be said again that a continuation of the tour beyond this leg does not seem impossible. Asia might be an option, but other surprises cannot be rules out. That would complete the centenary.